TechnicBRICKs: 8110 - Here it is! Next drop... I told you!... Yes, here it is! It's Orange!!! Shown to the public, in a LEGO fan event running in Portugal at the moment. Jan Beyer, from "LEGO Community Engagement and Communications" (LCEC) brought it in pieces, into the suitcase. This set is BIG! Is there an opportunity to photograph the underside of the Unimog, to see the various gears and the Portal Axle assembly? I'm so going to get this set! Only 6 more weeks to go! It makes me wonder; it this model on a promotional tour in Europe? Don't think is already on a promotional tour, but TLG wants it promoted, that's for sure! XD Is it me, or is that blue chair constructed incorrectly. other than that the mobel is beautiful, cant wait to build one of these! also, really want those wheels for a jeep offroad model! Can the pneumatic grabber/crane reach the ground (or lower)? Like picking something up from a ditch or someting like that? Looks like the motor pump is now grey! Ooooh and the slots in the wheel mounting pins are now facing inwards towards the centre of the wheels too. I like how they always leave in a delibrate building mistake for us to find (the seat)! It's good to see this set out in the Wild, Jan would not let me get too close to it last week while I was in Billund (and no photos in the factory either!) really keen to get my hands on one now, It really is Huge! @Conchas Looking forward to it greatly :) see you soon. 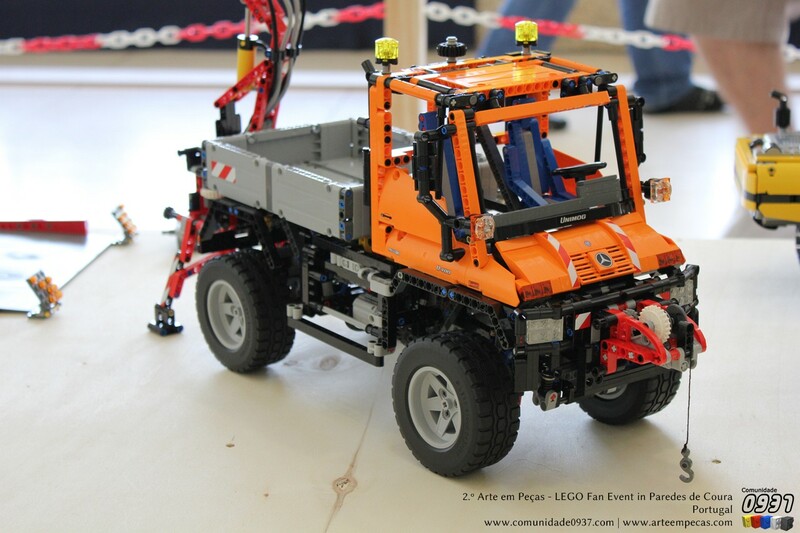 Can someone tell me where i can pre-order the 8110 lego unimog? ?